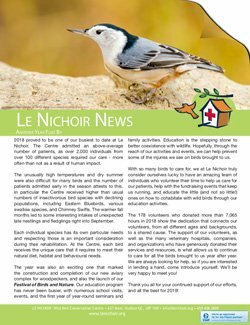 As we launch into 2017, staff, volunteers and friends of Le Nichoir share a look back on 2016. 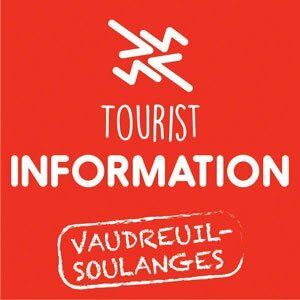 Both staff and volunteers care for the birds admitted to Le Nichoir. Volunteers are very important to the Centre’s ability to offer bird care services 7 days a week, 52 weeks a year. In 2016, 154 volunteers gave over 5760 hours of their time to help ensure compassionate and professional care for 1979 birds representing 107 species – an increase of 17% over the previous year. 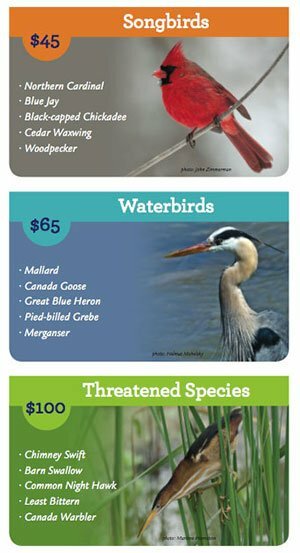 The three most common species of birds admitted to Le Nichoir in 2016 were species native to Quebec including the American Robin (273), Mallard (225), and Ring-billed Gull (192). Cat attacks ranked as the number one confirmed injury followed by window and car collisions.